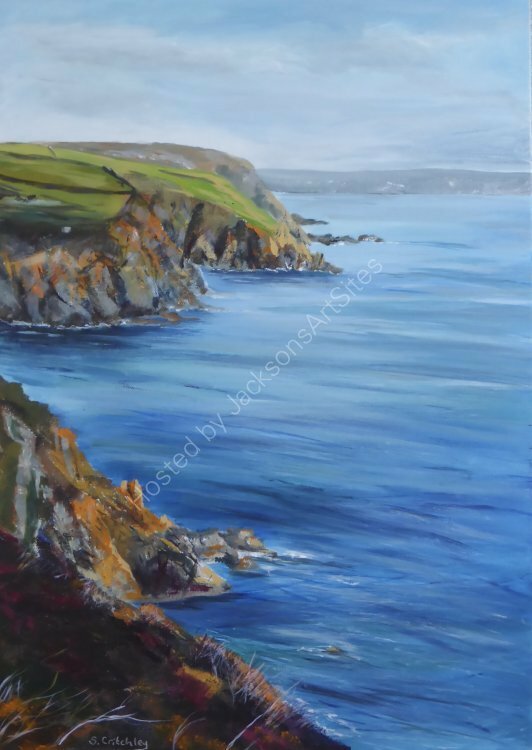 Walking towards Cadgwith on the cliff path on a bright sunny day, I was inspired by the colours in the cliffs and in the sea. The contrast of blues, turquoise’s of the sea and orange on the cliffs was just lovely. I enjoyed my stop in lovely Cadgwith on the Lizard Peninsular, Cornwall too!